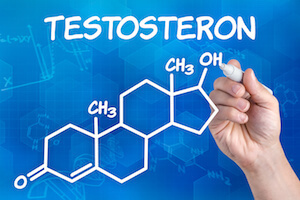 Testosterone is an important hormone for both men and women. Having the correct level of Testosterone helps you to feel and function at your very best. As you can see, Testosterone deficiency affects both men and women. There is not a lot of difference in the effect on the body. The main difference is in the amount of Testosterone needed in order to repair the deficiency. Obviously, men require a higher level of Testosterone than women do. When you are having your Testosterone deficiency replaced, it is important to utilize bio-identical hormones. Bio-identical hormones are biologically identical in the chemical structure as the hormones that your body should be making, but is not. Have your levels and symptoms followed by a physician specially trained in bio-identical hormones so that you may achieve a safe balance of your hormones.